The refurbished sign on The New Yorker Hotel lit with thousands of LED lights. While the city is flush with hot new hotel openings -- including the Cooper Square Hotel which officially opened today -- none of the new ones can serve up the iconic quite the way the New Yorker hotel can. The New Yorker's history dates to the 1930s, when it was the city's largest hotel with 2,500 rooms. 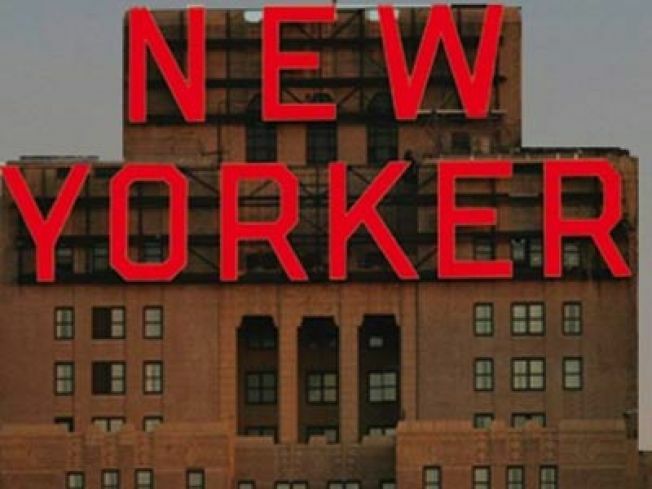 And while the iconic neon red "New Yorker" sign facing west was replaced in 2005 with an energy-efficient LED sign, it's still the same shape and size as the original. The NewYorkology travel blog original got an up-close view of the site by way of the hotel's tower suites. It turns out that two of the hotel rooms have private terraces directly under the sign. Weekend rates at the start of January are low as $349 per night.